You don’t expect the Chair of the Blackburn Diocesan Board of Finance to tell you up front that his job is not about money … but that is exactly the way in which David Barlow describes his role. David, a qualified accountant, lives in Clayton-le-Woods and is a Reader and Treasurer at St John's Parish Church in Whittle-le-Woods. 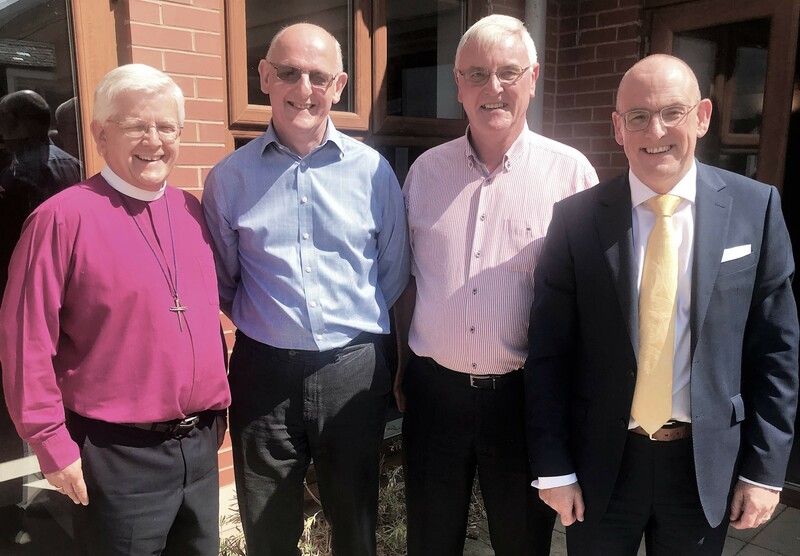 He took over the hot seat from Canon John Dell last summer bringing extensive business experience to the role at Blackburn Diocese (The Church of England in Lancashire). This experience includes time working for the Archdiocese of Liverpool as Financial Controller and a lengthy spell as Finance Director of Career Connect on Merseyside. Now, with six months or so as Chair under his belt, David has more of a handle on what the role is about and what he sees as his responsibilities moving forward: “I don’t think my role is purely about finance at all,” he says. “A few months in and I am still on a learning curve. Part of that learning curve is to try and understand how the Diocese does things; in other words, having made decisions, how do we implement them? For any senior officer in the Diocese, relations between the central teams and the parishes always loom large in the thinking. David elaborates: “I was quite happy working at parish level as treasurer, but since becoming involved at a Diocesan level I can see the gap in understanding that can exist between people in parishes and those at the Diocesan Offices. “We need to close that gap: recognising there are different challenges and working out how best we as a Diocese can respond to those challenges; identifying what we believe to be best for the whole Diocese and its parishes and moving forward together. 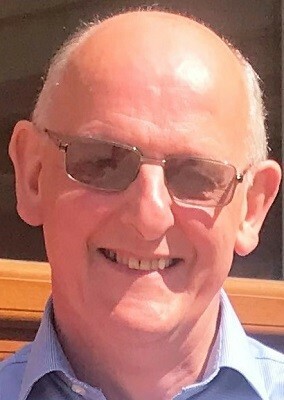 But David also sounds a note of caution: “Parishes will find it hard if there is a feeling of disconnection with the Diocesan leadership and organisation. David cites the current ongoing Clergy Study Days taking place across Lancashire with the theme of ‘Generosity, Gift and Grace’ as an example of good practice in this area. “These face-to-face events are an opportunity for members of the Bishop’s Leadership Team to meet and talk with clergy for an extended period; encourage them in their work and give advice and insight on how to engage with congregations on the topic of giving their time, talents and money in the service of Jesus Christ. “I personally attended a recent Study Day in Leyland and was struck by what Bishop Philip said when he spoke of how our starting point for generosity should first be what Jesus has done for us; not straightforward requests for cash to fix a leaky roof! As he begins to settle into the role of Chair of the Board of Finance, David also now finds himself reflecting on what his responsibilities are going forward. He says: “I feel that my biggest strength is not having all the answers; instead I am looking to encourage parishes to come forward with their own ideas and contributions. So how does the new Chair rate the financial health of the diverse and challenging organisation that is Blackburn Diocese? “We are stable; but it’s always nice to have a bit more money available,” David says. “The rate of Parish Share contribution (the amount of money that each parish is asked to contribute to support the mission and ministry of the Church in the Diocese of Blackburn) undoubtedly needs to improve. “In that context it is encouraging to note, in addition to the ‘Generosity Gift and Grace’ study days for clergy that fresh efforts are also under way as part of a renewed ‘focus on discipleship’ across the Diocese to work towards increasing giving; encouraging people to consider giving more of their time, talents AND money towards furthering the Kingdom of God. David is also a great believer in parishes communicating the financial facts of life to church members directly. “We should be giving people regular updates on the financial position of the parish,” he says. It doesn’t have to be complicated. David recalls his own experience of presenting a Bible study on giving 18 years ago to the house groups at St John’s Church in Whittle-le-Woods. He says: “I stuck to the set text each time and didn’t deviate from the simple message I wanted to convey. While the road ahead remains challenging, David believes the foundations are strong for The Church of England in Lancashire and the Diocese represents good value for money. But he wants to hear what YOU think. Want to invite David to your parish? email jenny.simpkin@blackburn.anglican.org with your proposed venue, date, time and any other relevant information.